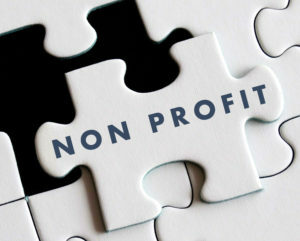 Two Ohio court decisions have recently come to attention with regard to nonprofit organizations. One decision ruled that a grant making organization wishing to enforce any restrictive terms of the grant in the future must continue to exist as an entity (Asia Pacific Futures Research Symposium Planning Committee v. Kent State University, et al., 2016 WL 1638622). The second decision gives an expansive reading of what constitutes “books and records” which a member of a nonprofit organization is legally entitled to read and review (Heinrichs v. 356 Registry, 2016 WL 3522293). In the Kent State University case, in 2002, the Chicago Board of Trade Educational Research Foundation made a grant to and contract with the Kent State University Foundation. The grant was to support certain research and engineering programs at Kent State. The Foundation entity dissolved shortly after making the grant, but a committee thereof continued to exist. In 2013, the grant supported activities ended and the committee requested a return of any remaining grant monies. Kent State did not return the monies and the committee sued. The court dismissed the committee’s lawsuit because the real granting entity, the Foundation, was dissolved and the committee had no standing to pursue the litigation. Bottom line, the entity that makes the contract needs to remain in existence in order to enforce that contract in the future unless duly assigned. The Heinrichs case permitted a member of a nonprofit corporation to review, as part of its request, the books and records of the nonprofit corporation, and all of its contracts which might pertain to the corporation’s general condition and state of affairs. The Heinrichs case serves as a reminder that many records and other documents of a nonprofit organization are pretty much an open book to members of the organization.